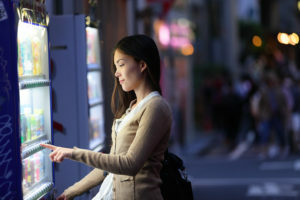 Customer experience is a big factor in vending sales. If they have a good experience, they will come back to purchase again. One way you can improve your customer’s experience is to offer a discount or have a sale on certain items. You can do this through the Monyx app for the Nayax credit card reader, the 365 Pay mobile app for AirVend or through the USA Technologies E-port Connect program and its More mobile app. Especially important for today’s growing smart phone-oriented generation are features such as machine location services, coupon-ing capabilities and more. 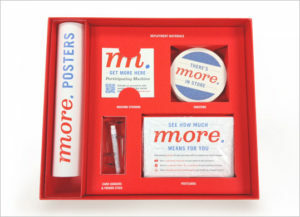 These will help you differentiate your brand and build customer loyalty. USA Technologies is empowering the self-serve and unattended retail industries to meet growing consumer demand for cashless payments. They have an advanced interactive media, content delivery system. 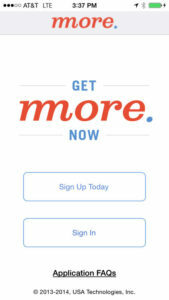 In addition, it is providing new consumer engagement services through USAT’s MORE™ mobile app. 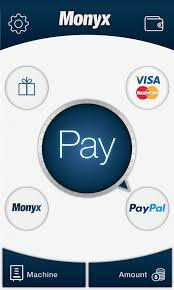 The company is helping drive the next phase of mobile and cashless payments. They will help you move beyond a simple transaction. You can use payment information to engage with the consumer in the moment, at point-of-sale, driving increased and recurring revenue. By seamlessly integrating into existing USAT technology, MORE™ works with credit, debit, NFC, mobile, and prepaid payment methods. You can get a complete kit containing promotional materials, detailed instructions, and loyalty cards to be distributed across your network, from the USA Technologies website. They have made it super easy to add this to your business. Using an interactive mobile application, consumers can link the information from the web-based consumer portal to get information on new products, advertising and special offers via their smart phone. How are rewards earned? It’s up to you! You can opt to offer your customers anything from a one-time cash bonus for activation, cash-back on each purchase to specific, time-bound incentives to establish new purchase patterns. You do it all with a simple, web-based operator interface. 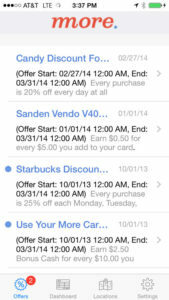 Consumers can track their rewards as they earn them at your locations. They can choose to redeem rewards for credits or free vends. Consumers can find participating machines near them, or via search, using location services, and view by map, augmented reality or list. You can learn more about the E-Port MORE™ app at their website: https://getmore.usatech.com/index.html. 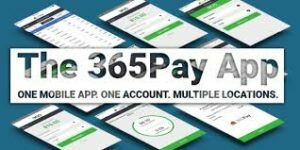 AirVend and 365 Retail Markets have introduced their 365Pay mobile app which can connect with all their AirVend devices via a scanned QR code. Consumers use the 365Pay app with their mobile devices to connect with the hardware device to access product and nutritional information. They can send cashless credits to the vending machine. They can reload funds to the account balance within the app. Additionally, they can contact operator via email with any issues or feedback. Any issues that the customer may have with payment will go directly to AirVend and they will handle all refunds for you. AirVend and 365 Retail Markets are currently testing a loyalty program in machines all around the country where customers can receive points based on their spending and then they can redeem those collected points for items from the vending machine. They hope to have that program available before the new year. Currently customers can use the app to make cashless payments via the AirVend on a machine and to see their transaction history. With all these great options available to you as a vending machine operator, you can really add to your income by utilizing them. You can use one of our Media Link digital advertisers to push this information out to your customers, letting them know that they can download an app to connect them to your machine. You can use social media to run contests with the prize being a discount or a free product and then you can easily give access to the prize via one of these mobile apps. These options can also help you keep up good relations with the Point of Contact at your location. If something goes wrong with a vend, they are going to find the nearest person to complain to and this is usually your POC. They will be the ones taking down names and notes on any issues the customer may have. They can help the customer feel like their input is important and their business is appreciated. Having a good relationship with that Point of Contact will help make the customer’s experience better. 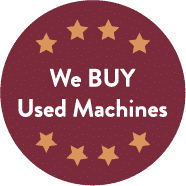 Showing gratitude for them by offering them a discount or giving them a virtual punch card to use at your machine can go a long way. They can also be great references for any future accounts you may have. You definitely want to keep up a good relationship with them. Happy customers are repeat customers. If they feel appreciated, that can really help your sales. We hope you’ll add a credit card reader to your vending machines and capitalize on the added sales you’ll receive by doing so.